Craving for lasagna? Well, you should know they aren’t cheap when you buy them outside. 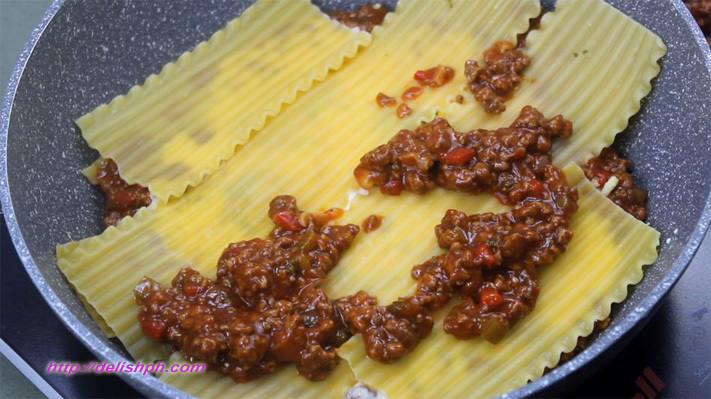 However, Homemade No Bake Pan Lasagna might be something that you want to learn making at home. If you don’t have oven, no problem. You can still make your own delicious lasagna at home. 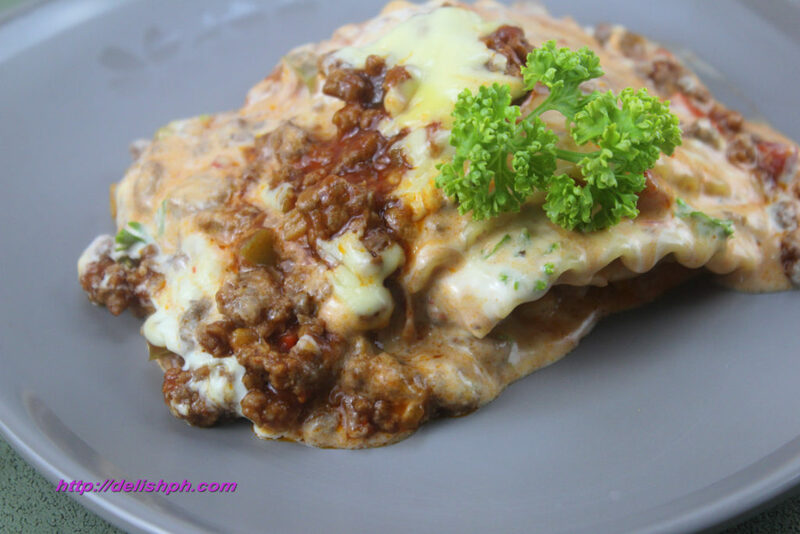 This Homemade No Bake Pan Lasagna is a Filipino version that many Filipinos will definitely love. 1. Heat the pan, add the ground beef and cook until it changes color. 2. Add in the onions, garlic, tomatoes and bell peppers. Cover and cook for about 15 minutes. 3. Pour in the tomato sauce. Season with oregano, parsley, salt and pepper. Simmer for 5 minutes. Set aside. 4. On a different pan, in a low heat, pour in the milk, all-purpose cream, cheddar cheese and quick melt cheese. Stir up until cheese have melted and the mixture becomes thick. Set aside. 5. Boil some water with salt in a pot. Cook lasagna for about 8 minutes (or follow the packaging instruction). Cook it 3 minutes less than the instruction. Since you’ll still cook it in a pan. Remove and set aside. 7. Cover and cook for about 10 minute in a low heat. If you don’t have oven at home, that doesn’t mean that you can’t cook and prepare lasagna at home. Instead of using mozzarella, I’ve used quick melt, for one main reason, it’s cheaper. You can add other ingredients like basil or more cheese if you want to.